Be sure to check our Event Calendar for availability. Basic Membership – $599, including unlimited single driver Open Practice for the season (April to October). Combo Membership – $799 – includes 1/2 case of AMS Oil (choice of 5W, 10W or 2-stroke) AND a set of Vega Blue Tyres for only $200 more! Add to your Combo Membership and SAVE! Seasonal rates are from April to October. Annual rates are from December to November. Trailer Parking includes in-and-out privileges and a Pit Box Reservation. Trailer parking on Race Weekends (Friday to Sunday) is included with Event Registration. Open Practice is available on the Full Track as well the South Track, and occasionally the North Track. However, Full Track practice sessions cannot be made available all the time, as the track is shared with Public Karting and other events. Practice on the Full Track is never guaranteed. 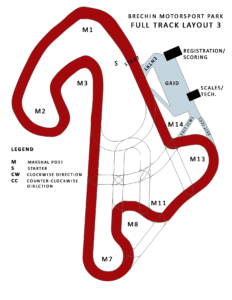 Having said that, we try to open Full Track when we can, but since we cannot predict when this will happen we have found that drivers often miss their chance at Full Track practice when it becomes available. As a result, except for Long Weekends, we will now open the Full Track for practice at the top of every hour for 15 minutes. Drivers that want to practice on Full Track are expected to be on grid and ready to go so that they don’t miss the opportunity. During July and August the track is open every day. From April until June and again starting in September the track is open Saturdays and Sundays only (sometimes other days but not guaranteed – call in advance). Practice is available when the track is open except on days when the track is booked for large Motorsport events (like Drift Jam). See our Event Calendar for details. In the spring or fall, if the track is closed for practice on the Saturday before a race, we will open the track for practice one day during the week before the race. 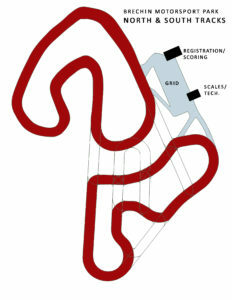 Practice sessions are shared with Public Karting and other Events, and when Full Track is not available the South or North Tracks generally will be. In our experience Full Track availability is really only an issue on Saturdays in July and August, between noon and 4pm. We hope that this Practice Policy is transparent, we welcome your suggestions and input and we reserve the right to make changes without notice.